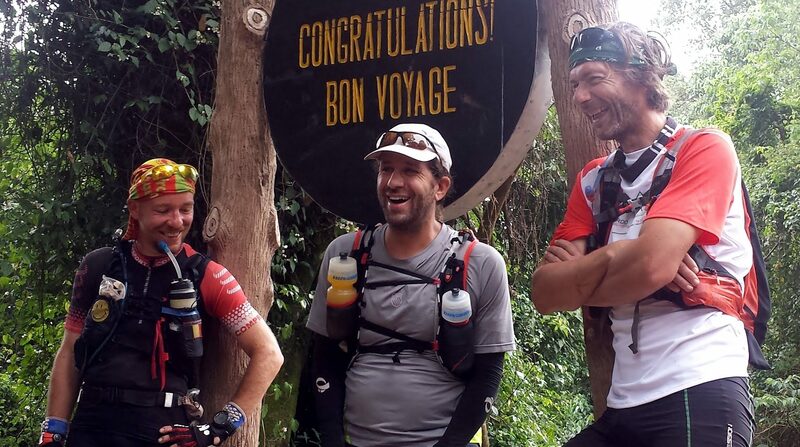 KSR Blog - How does running the Kilimanjaro Stage Run make you happy? How does running the KSR make you happy? 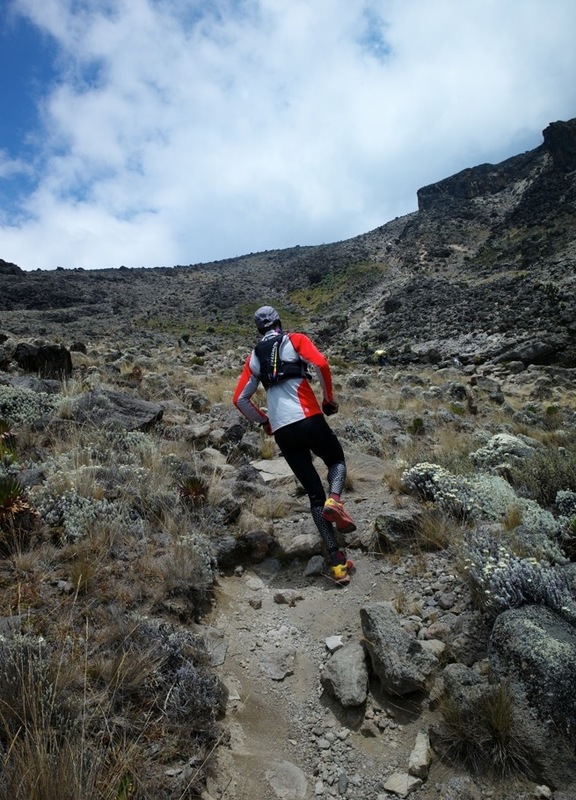 There’s no other multi-day running event quite like the Kilimanjaro Stage Run. 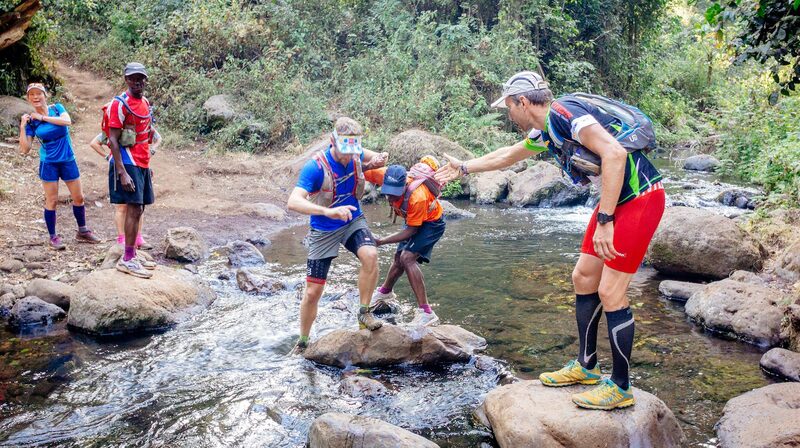 It is authentic running tourism in which running is the mode of travel which allows you to experience deeply the many cultures and environments that envelope majestic Mount Kilimanjaro, while building bonds of friendship and teamwork. 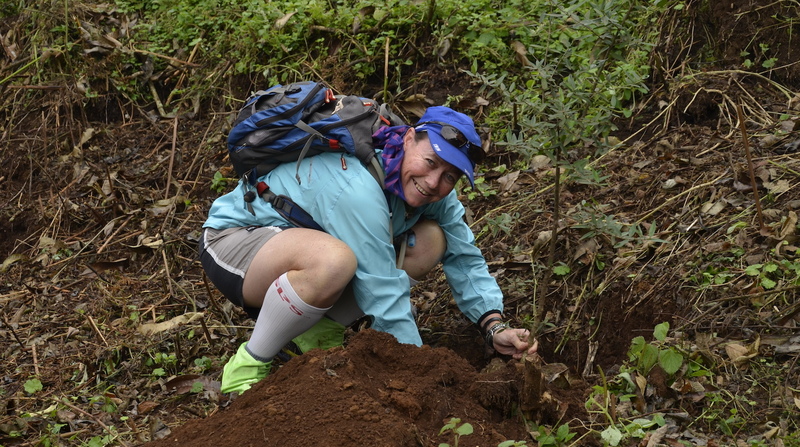 To me, what I discovered running the Kilimanjaro Stage Run, and what I found to be particularly amazing, was that circumnavigating the mountain on foot gave us a very unique and close up view of life in the “real” Tanzania. My expectations were already high. I had previously been to Tanzania a couple of times. I had already climbed to the summit. But this still didn’t prepare me for how truly incredible this experience was going to be. It was much more than I could have possibly ever imagined. As any runner (or hiker or mountain biker) already knows, you see a lot more details when you’re travelling on foot (or on two wheels). 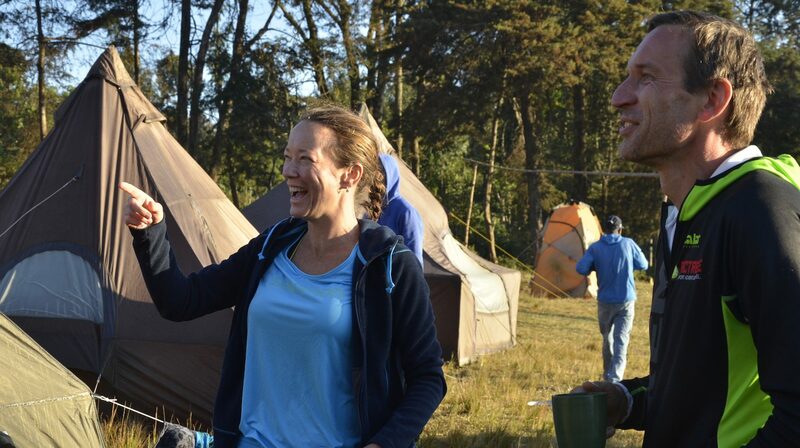 The KSR is not just a physical feat; it’s actually equally as much a cultural experience. Keep in mind that the areas that we ran through are not places that tourists go to. Many of the remote villages we passed through literally never see tourists. This gives you a unique, up-close and personal insight into life around the mountain. As one might expect, the views are stunning; deep valleys, lush green jungles, colorful birds flying overhead, and some mind-blowing waterfalls. You hear the birds singing, the monkeys laughing and the wind blowing. You smell the eucalyptus trees after a rain shower. You can even taste mbege, the locally brewed banana beer, if you’re brave enough! Every time that we passed a school, it seemed like the entire student body raced outside to greet us and give us high-fives. 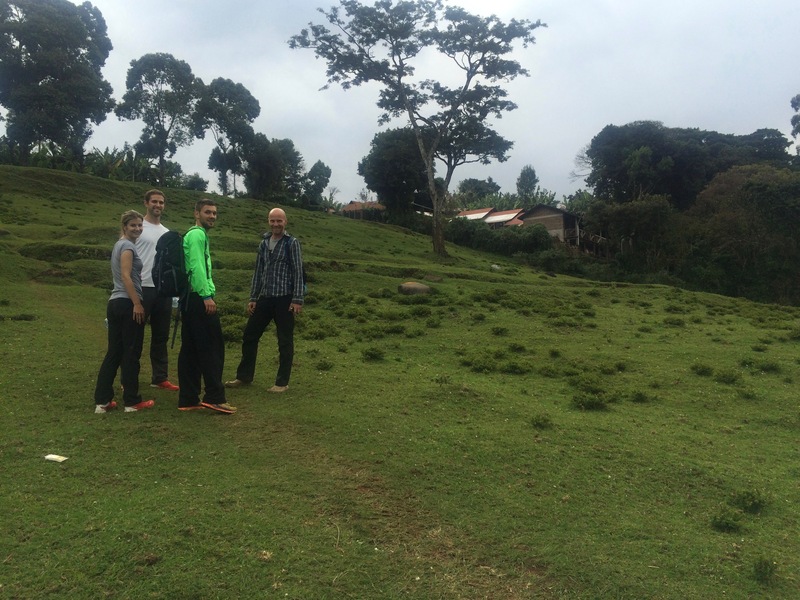 We met farmers, Masai warriors, herders, teachers, students and people from all different walks of life around the mountain. We even got to have a couple beers with a village mzee (elder) who had a particular fondness of beer! He didn’t speak a word of English, and my Swahili is extremely limited, but we had a great “conversation” nonetheless. But perhaps the best part of the experience is having Simon as your guide. This is his home, and he knows the mountain better than perhaps anyone. 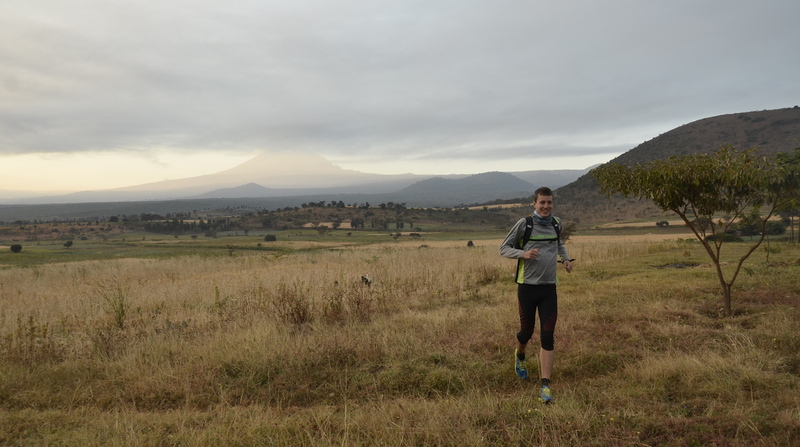 In addition to being a world-class ultra-runner, Simon is also an all-around great person, genuinely friendly, extremely knowledgeable, and has a sense of humor that will have you laughing all day long. 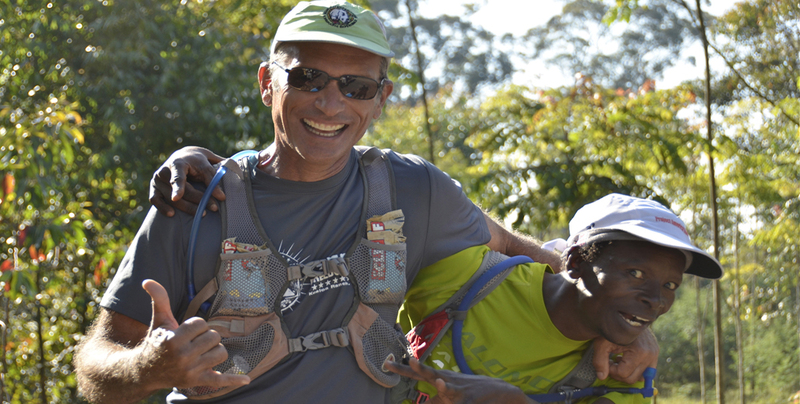 I’ve been a friend of Simon’s since 2004 and I knew that the Kilimanjaro Stage Run had been his dream for many years now. The logistics of an event like this seem to be completely overwhelming. But Simon’s attention to detail is uncompromising, and he has made this dream into a reality. If you’re fit and adventurous, this is one of the coolest and most memorable experiences you’ll ever have!